Other Products by Maxines Burn. Search other Protein Bars products. 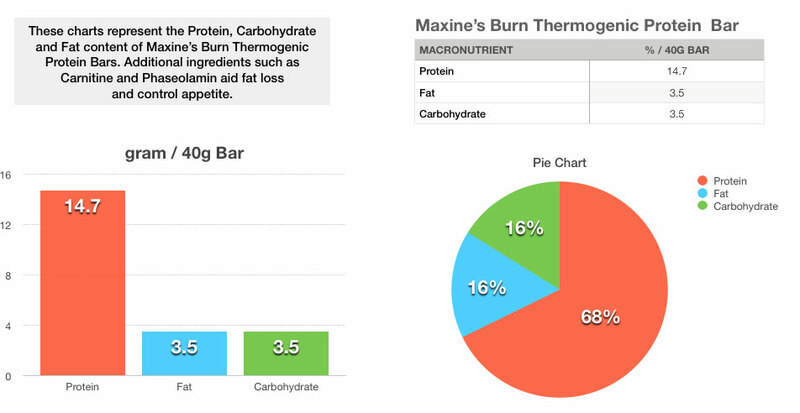 Maxines Burn Bars provide 14 grams of protein and are low in fat, low in carbs. These are figure-friendly treats that just so happen to taste amazing! There's something for everyone with Maxines Burn Protein Bars, as they come in 8 delicious flavours. This makes weight management pleasurable rather than painful, at least while you eat the bar! Combining protein for recovery and toning along with thermogenic ingredients to aid fat loss, Maxines Burn Bars are a great alternative to shakes when you are time-poor or simply on the move with 7 places to go! These great tasting bars help to reduce both carbohydrate digestion and conversion to stored fat, boost the metabolism and support the use of fat as a fuel source. These thermogenic Protein Bars offer a fat-loss punch in a packet! Tastes nice, doesn't have that horrible aftertaste of a lot of the protein bars. Best thing is feel full after eating it as a snack. Keeps the night time hungrys away. Tried a few bars, bought in-store and specifically sought out these ones in bulk. Because they are delicious...omg. The chocolate one is probably the best. it tastes a lot like a milky way; if you're in the market for fake chocolate (I'm a Dukan dieter) then this one is great. Also, in terms of its effects it fills you up and reduces your appetite, I can't give any further scientifc analysis but I can tell you the cravings are gone. Plus it tastes awesome and this is difficult to find in many brands of fake chocolate. You have to search far and wide to find protein bars that are actually low calorie, and actually taste good. But this right here, is one of them, your search is over. These taste amazing, have many flavours to choose from, and won't blow out your fat/sugar/carb intake. They are very yummy! They take away my 'need' for chocolate, and if I'm really hungry and could eat a ridiculous amount of food, I eat 2 bars, - and I'm not hungry anymore! Saves me lots of calories!! a variety of flavours so you can choose your favourites or mix it up. 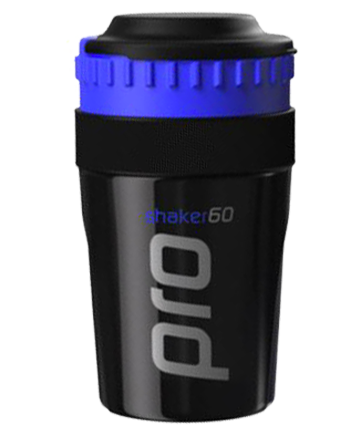 INGREDIENTS: Maxines Protein Blend (Whey Protein Isolate, Soy Protein Isolate, Whey Protein Concentrate, Calcium Caseinate), Chocolate (Maltitol, Full Cream Powder, Cocoa Butter, Coccoa Liquor, Lecithin, Flavour), Soluble Fibre (Polydextrose, Inulin), Glycerine, Canola Oil, Flavours, Cocoa, Phaseolamin, L-Carnitine, Tapioca Starch, Sweeteners (955, 950), Contains Milk Proteins and Soy Lecithin.